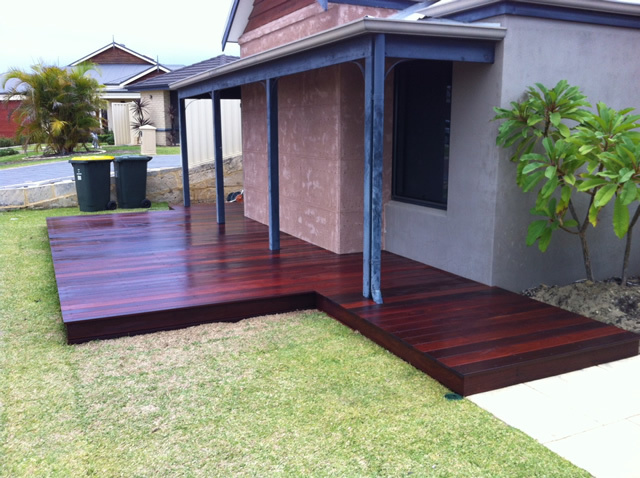 Adding a timber deck to your home adds value and gives you more useable space to enjoy. 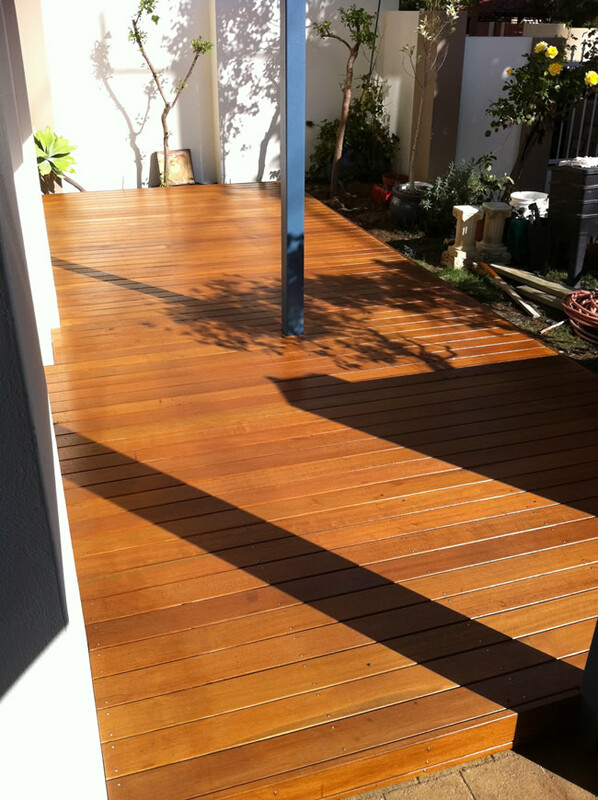 Building quality decks is one of our specialities. 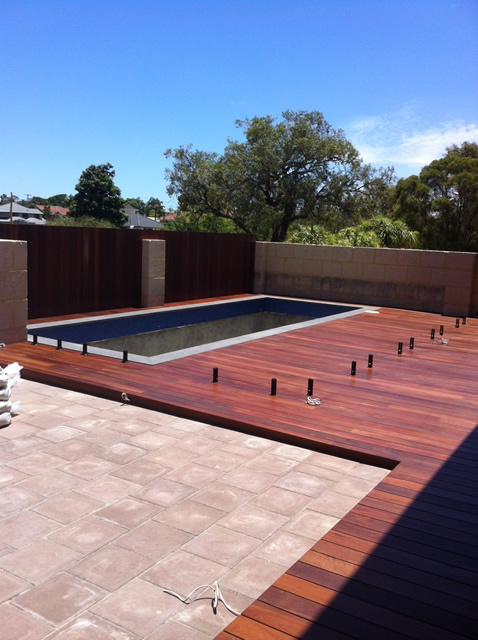 Aside from the style, we also specialise in a wide range of materials for decks. 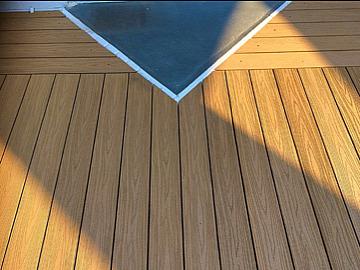 We believe this is very important because it not only lets you choose a very specific look, but it allows us to keep the deck construction well within your budget. 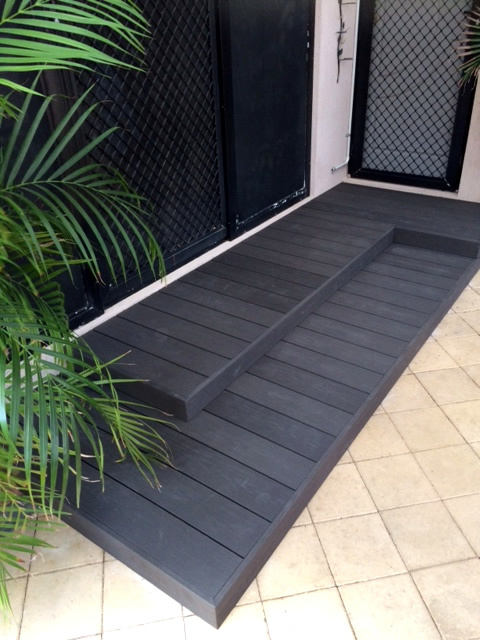 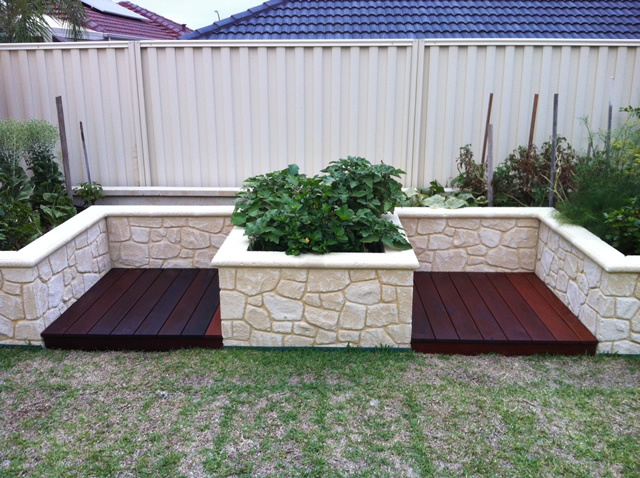 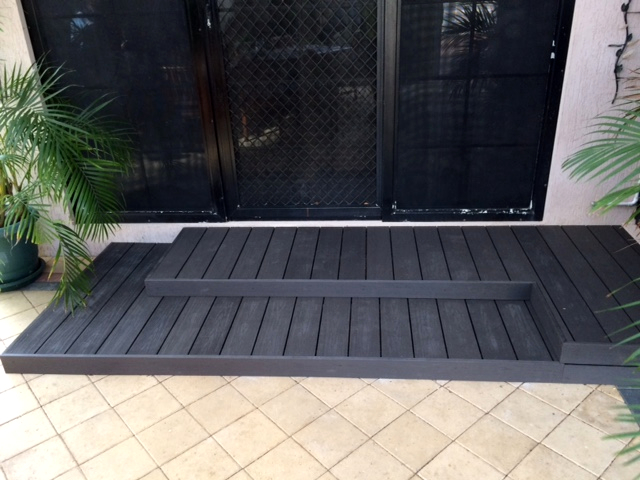 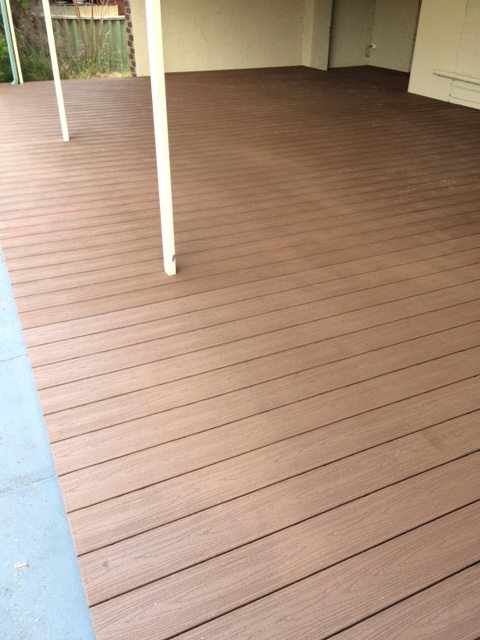 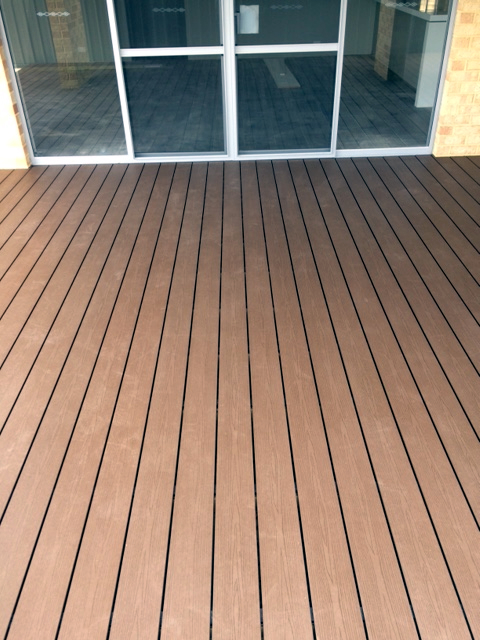 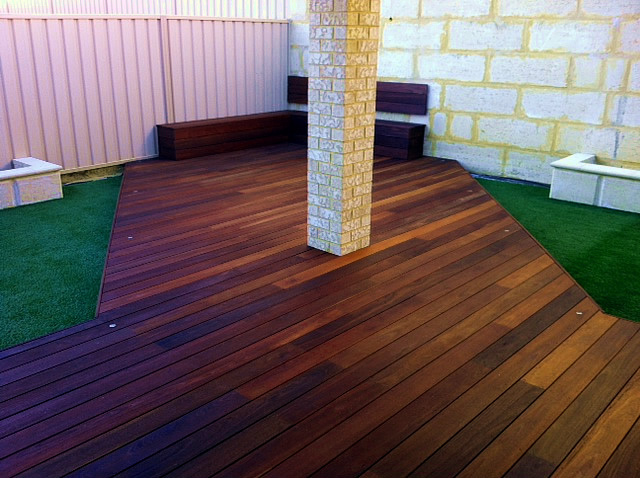 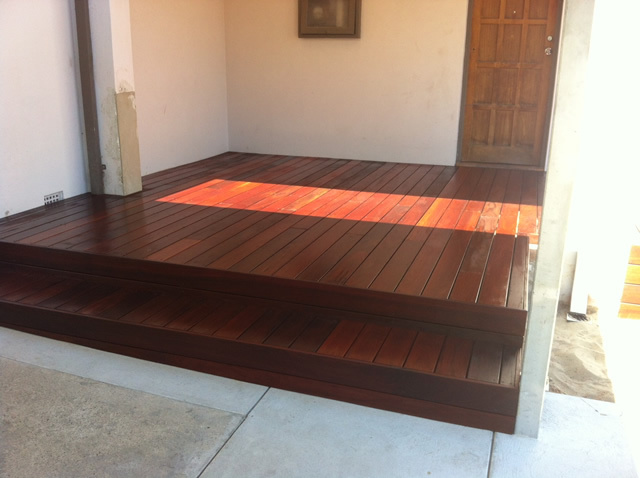 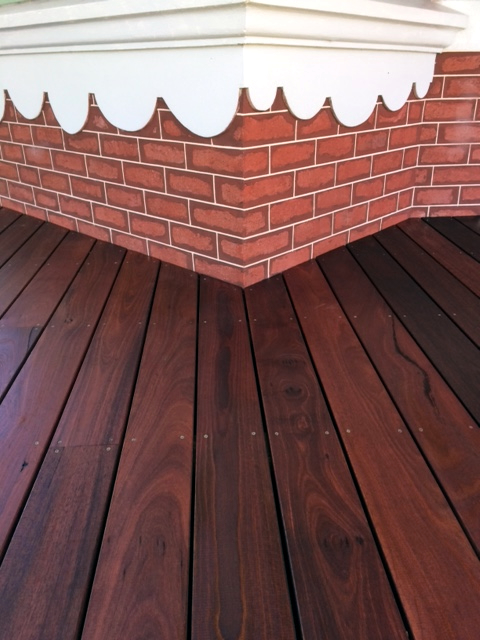 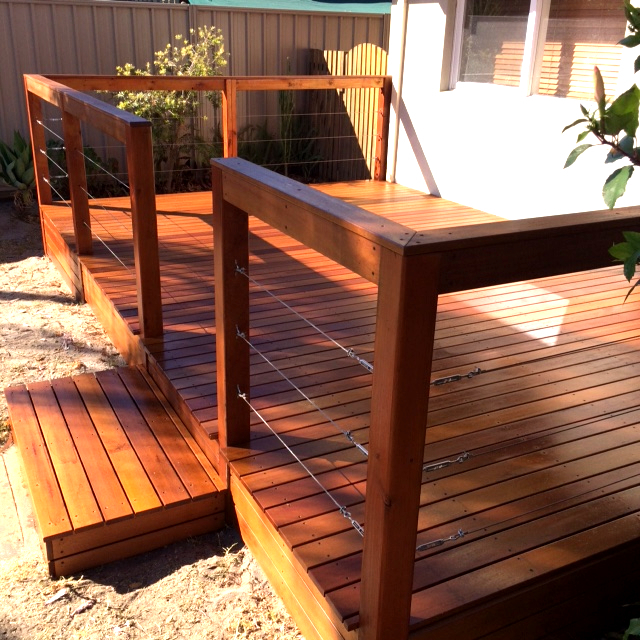 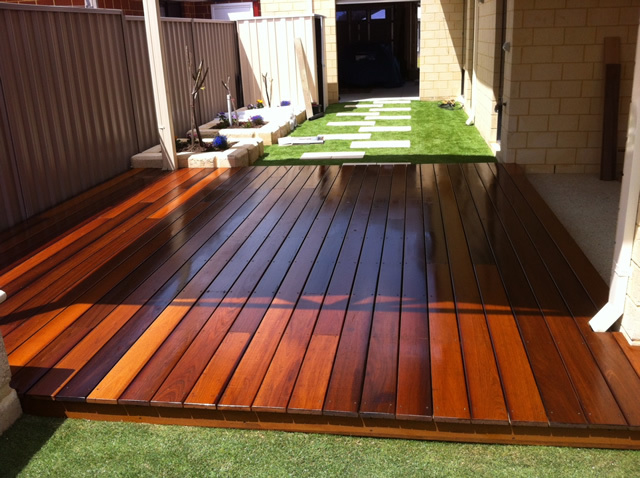 We give our clients a choice of three deckings; Australian hardwood, Imported hardwood and Composite decking. 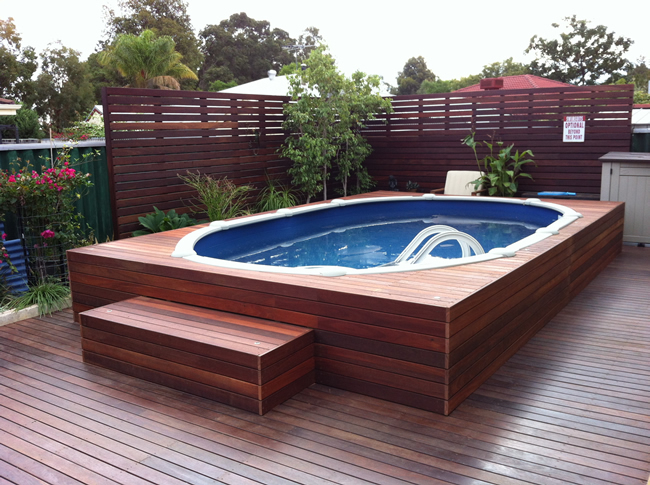 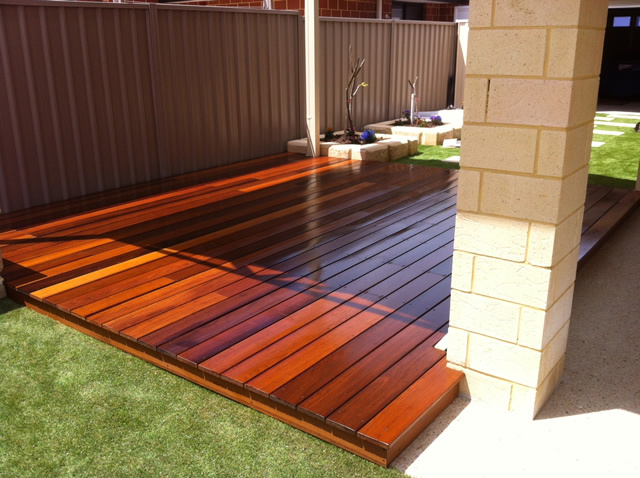 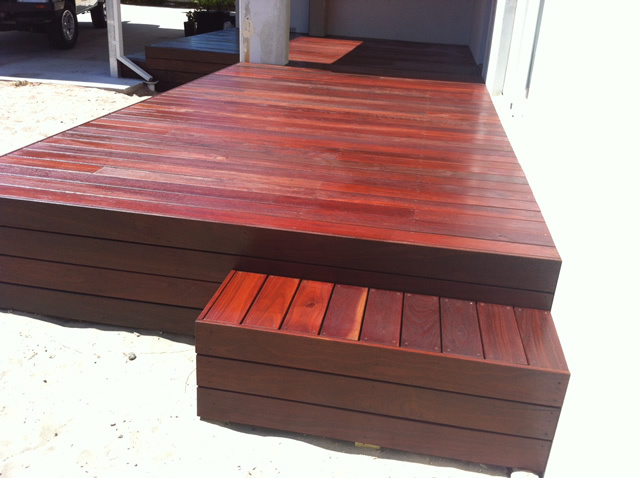 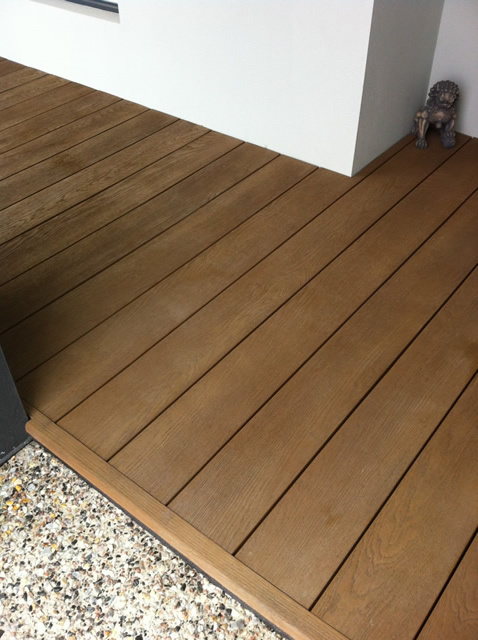 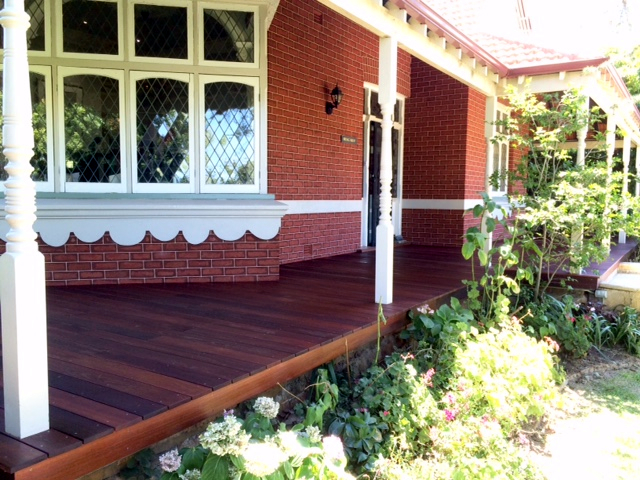 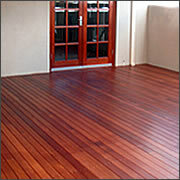 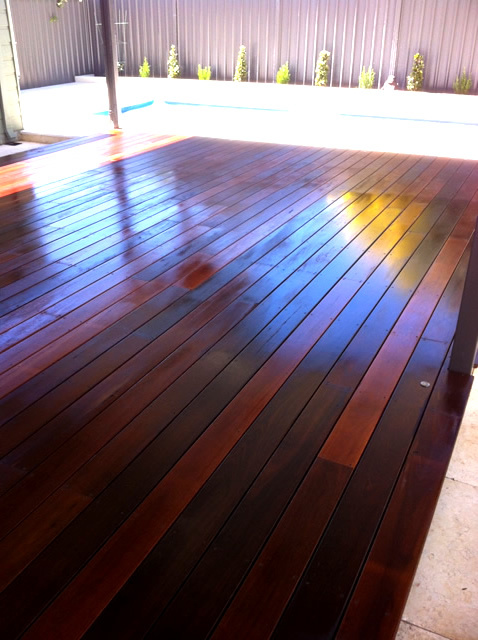 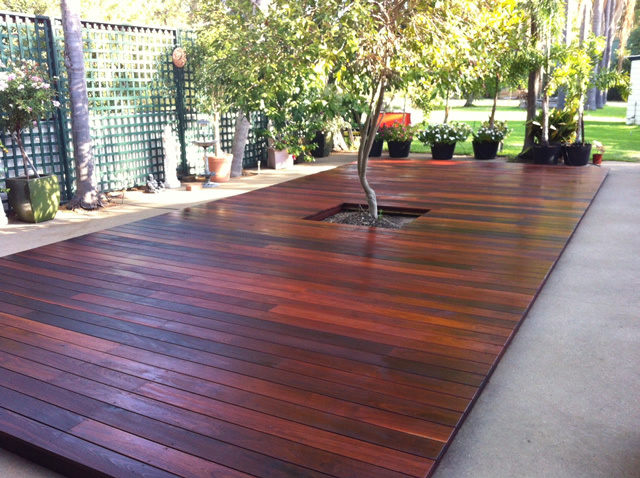 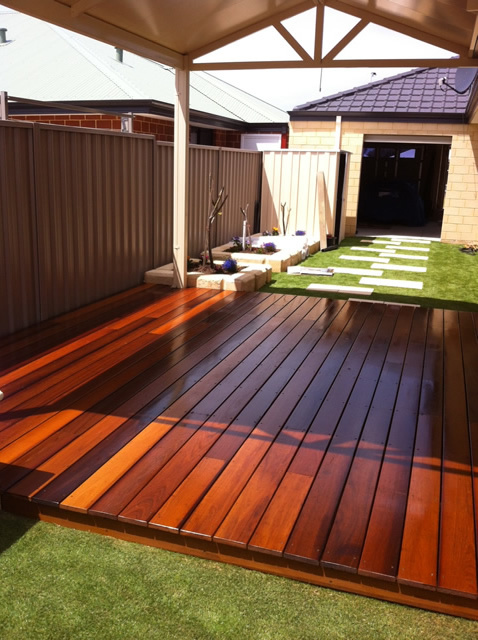 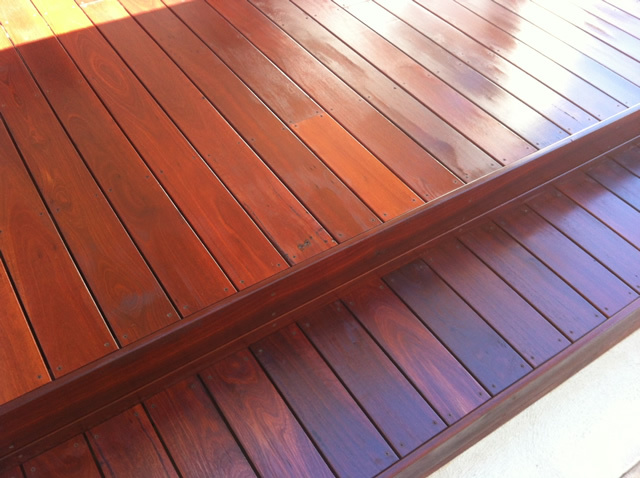 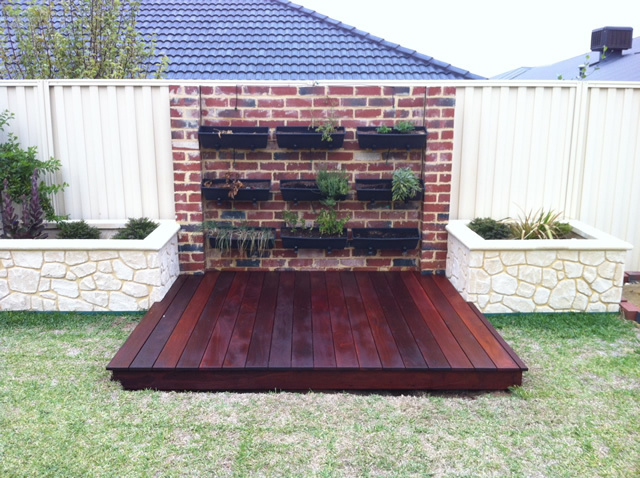 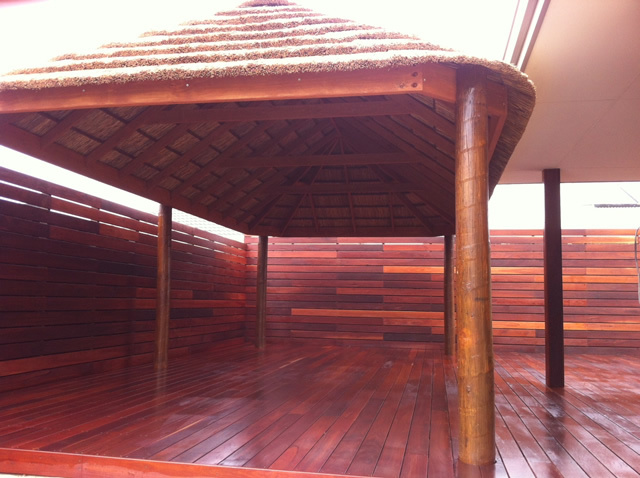 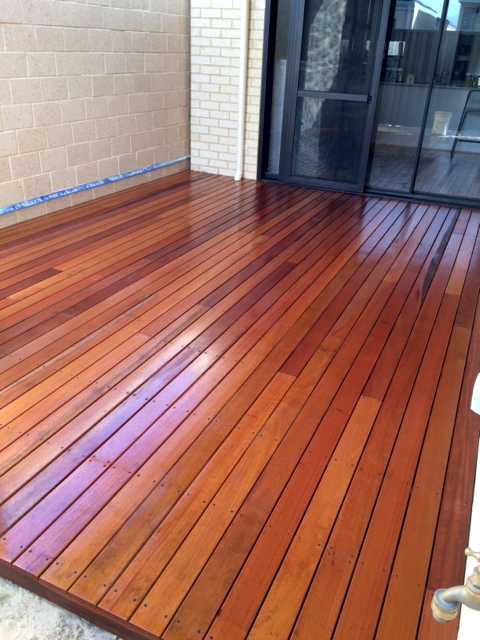 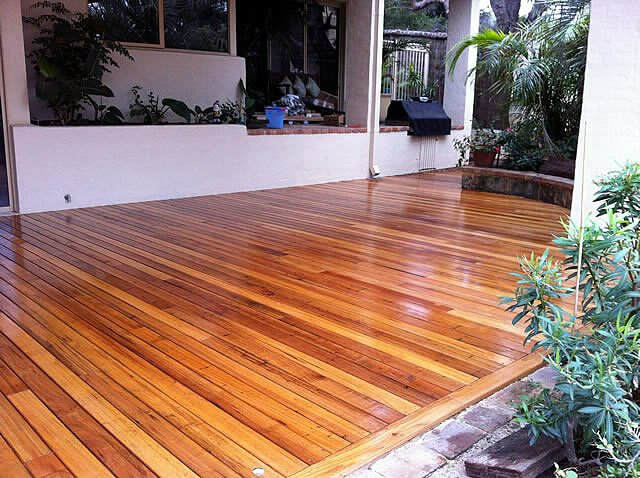 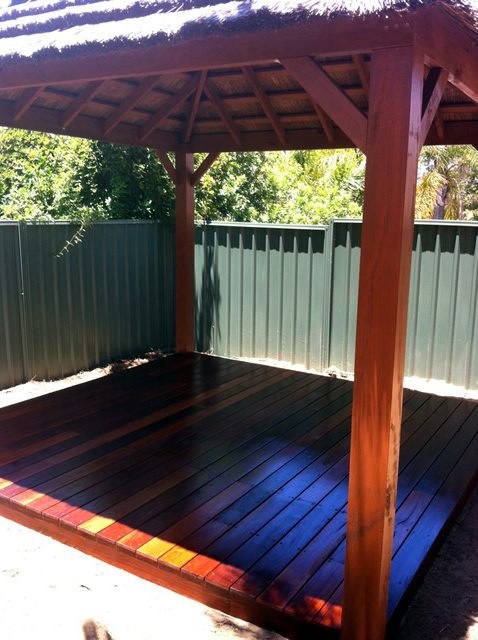 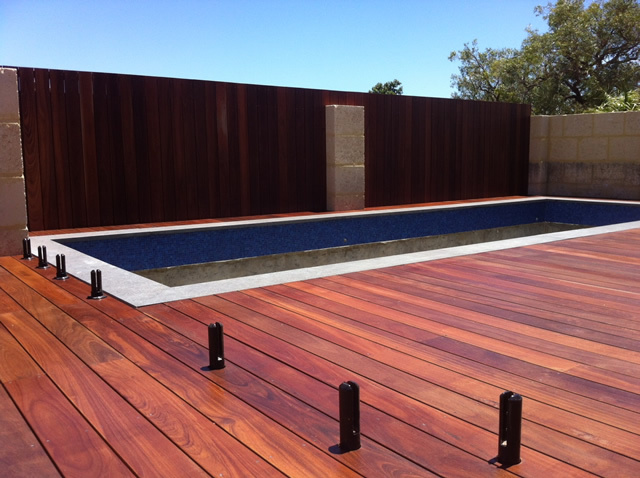 Hardwood is a fantastic material for decking and all Australian hardwoods are extremely hardwearing. 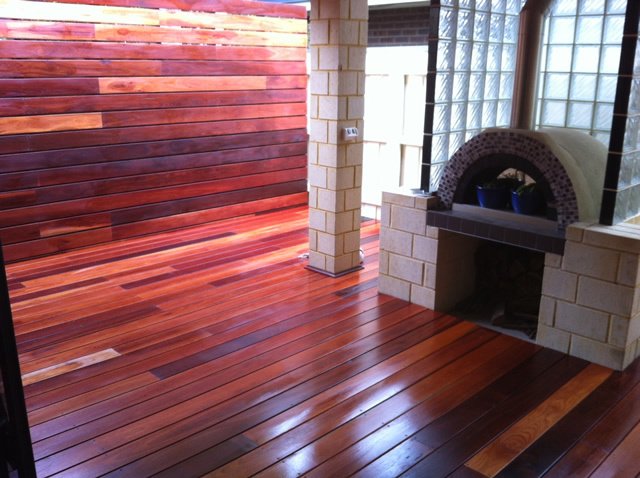 Some examples include Spotted Gum, Iron Bark, Jarrah and Merbau. 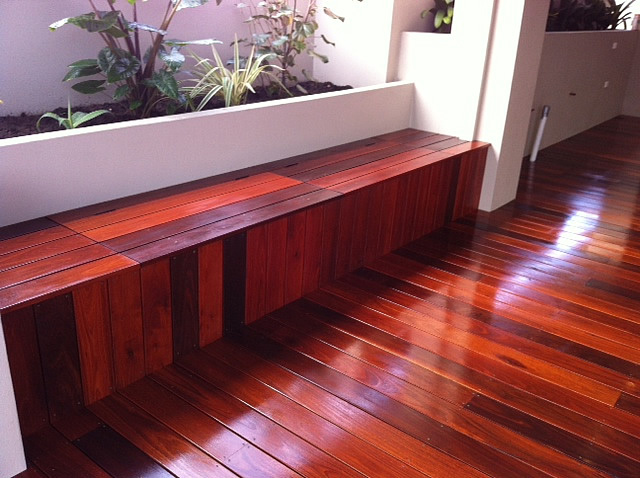 Imported Hardwoods can be slightly softer, although still a great option. 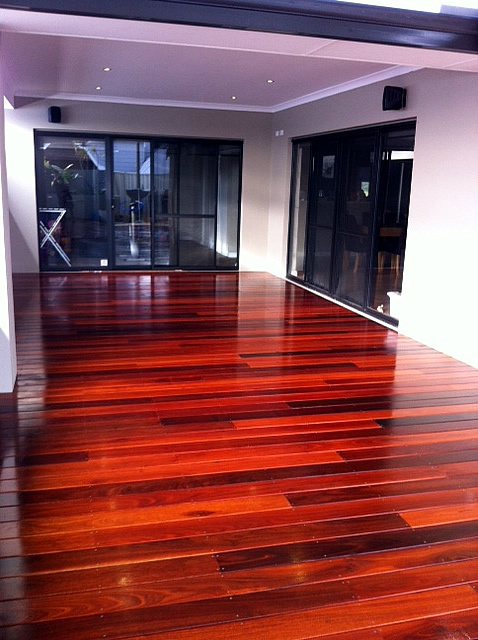 Some examples include Batu and Kapur. 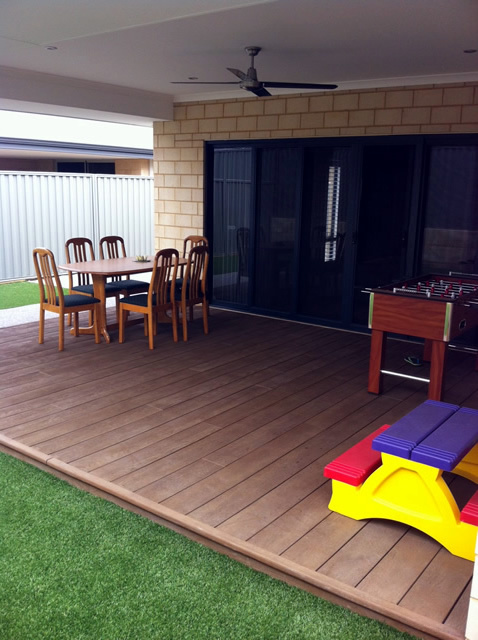 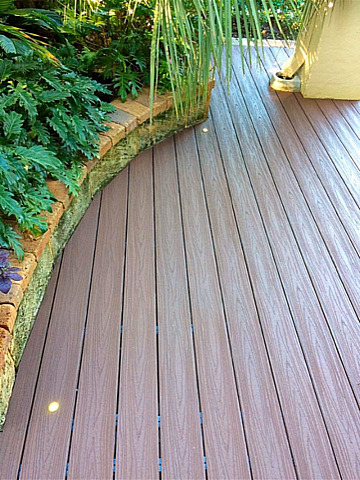 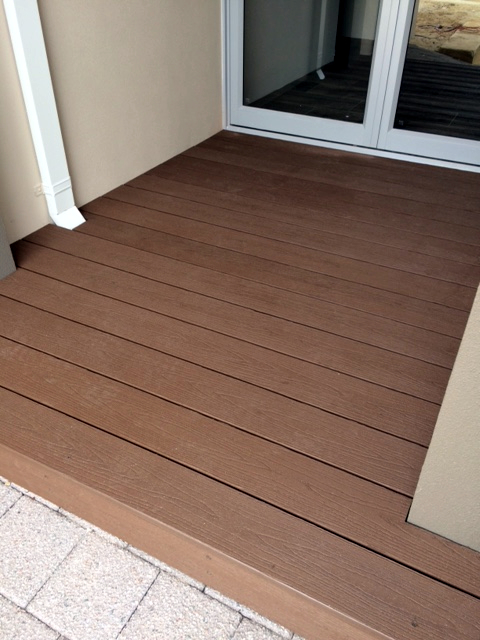 Composite decking is great for people who want a hassle free deck that requires very little maintenance. 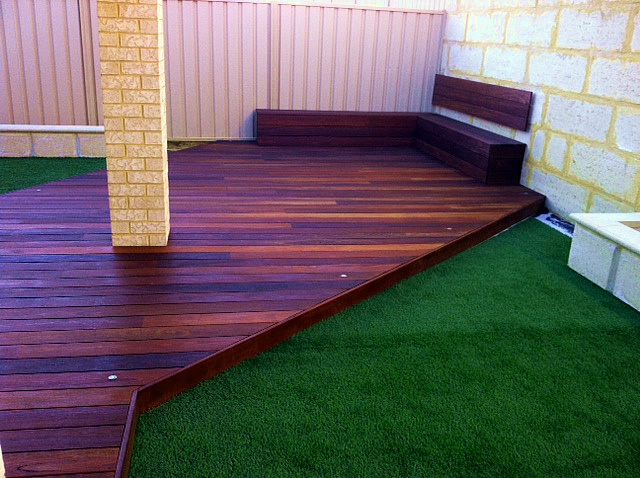 It comes in various colours, widths and finishes. 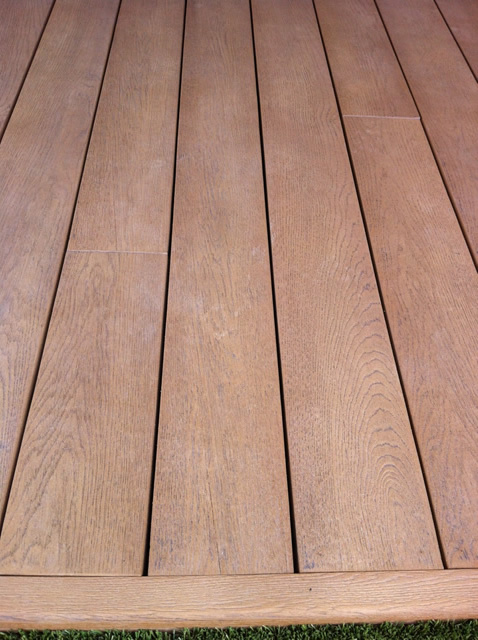 Although, if your deck is going to be exposed to full sunlight, keep in mind that the plastic within the decking can be quite hot under the foot. 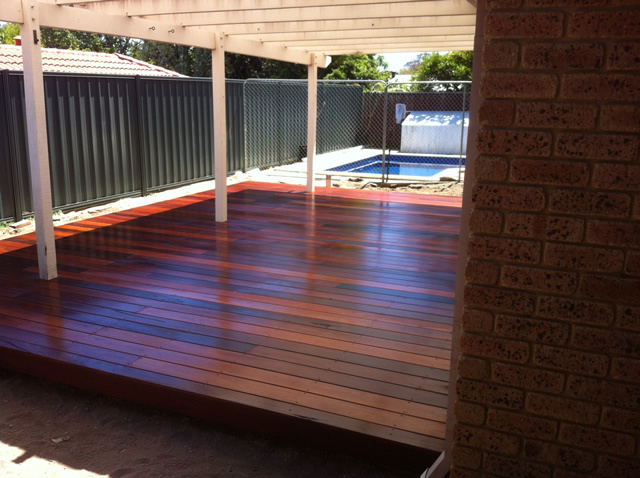 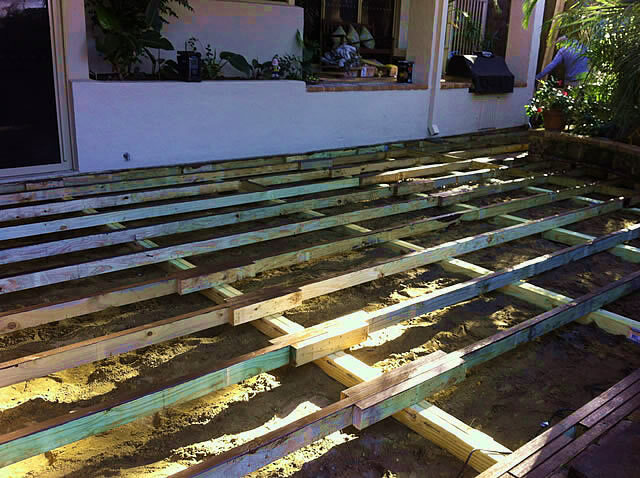 Efficient Carpentry services will design, supply, install and oil your new decking.